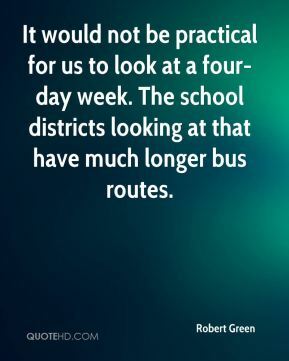 It would not be practical for us to look at a four-day week. The school districts looking at that have much longer bus routes. 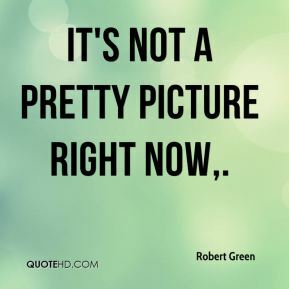 It's not a pretty picture right now. 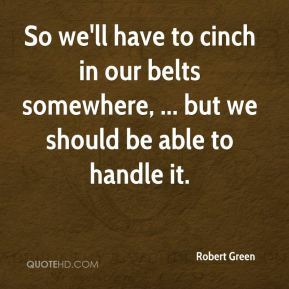 So we'll have to cinch in our belts somewhere, ... but we should be able to handle it. It will be enforced by adult staff members. 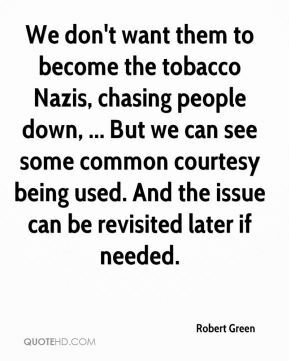 We don't want them to become the tobacco Nazis, chasing people down, ... But we can see some common courtesy being used. And the issue can be revisited later if needed. 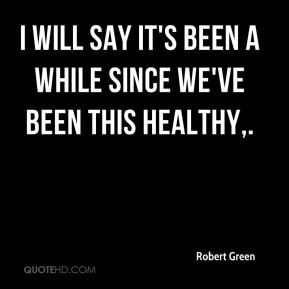 I will say it's been a while since we've been this healthy. 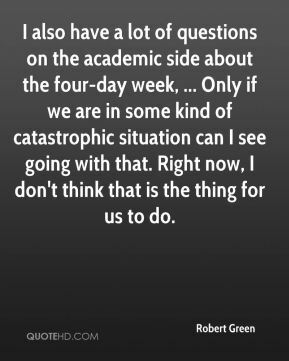 I also have a lot of questions on the academic side about the four-day week, ... Only if we are in some kind of catastrophic situation can I see going with that. Right now, I don't think that is the thing for us to do. The smaller companies are riding the coattails of the larger companies, ... 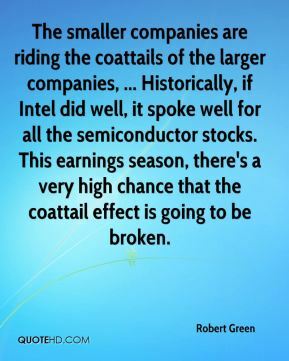 Historically, if Intel did well, it spoke well for all the semiconductor stocks. This earnings season, there's a very high chance that the coattail effect is going to be broken. 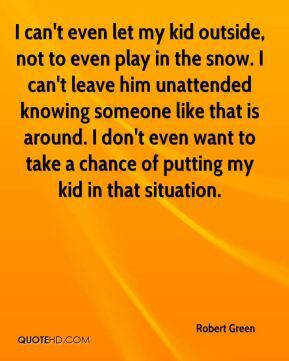 I can't even let my kid outside, not to even play in the snow. I can't leave him unattended knowing someone like that is around. I don't even want to take a chance of putting my kid in that situation. 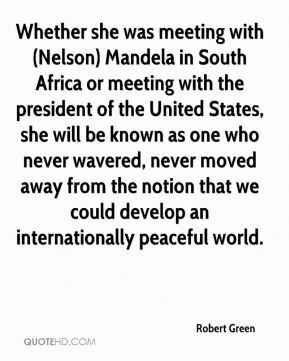 Whether she was meeting with (Nelson) Mandela in South Africa or meeting with the president of the United States, she will be known as one who never wavered, never moved away from the notion that we could develop an internationally peaceful world. The greater challenge, however, is to meet the target of approximately 3,000 workers when the project peaks next year. We are working feverishly towards that. Obviously there is a feeling that it is not the nicest thing to do to the host country and your teammates to walk out. 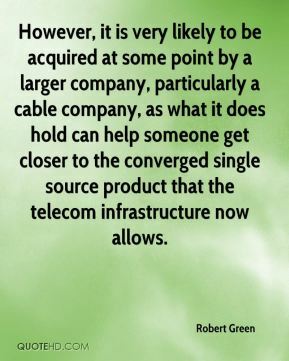 However, it is very likely to be acquired at some point by a larger company, particularly a cable company, as what it does hold can help someone get closer to the converged single source product that the telecom infrastructure now allows. It makes me furious. That somebody would do a child that way. It just makes me furious. 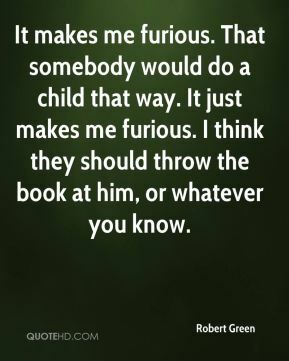 I think they should throw the book at him, or whatever you know.